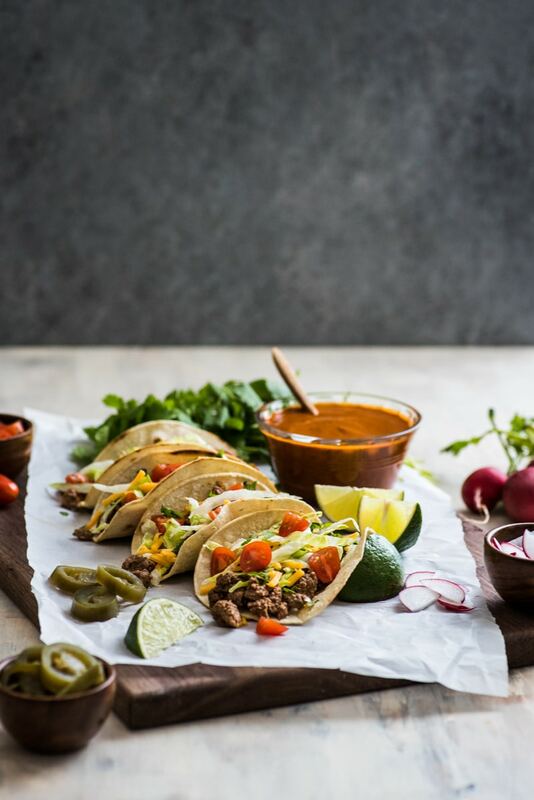 This Easy Ground Beef Tacos recipe made with a homemade taco seasoning packs a ton of flavor for a delicious weeknight meal ready in under 30 minutes! Say hello to a weeknight staple in my house – ground beef tacos! John and I are obsessed with tacos. We eat them at least once a week (but usually twice) because a) they’re easy to make, b) they’re delicious and c) they’re quick to whip up. 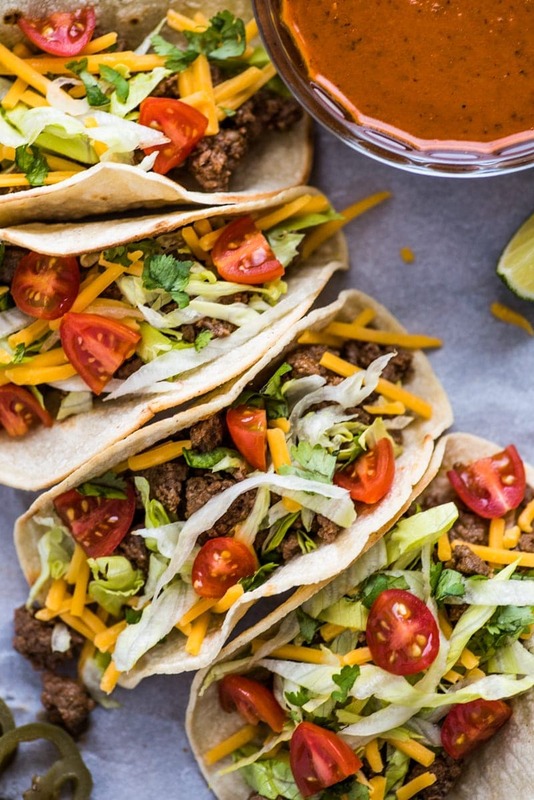 These ground beef tacos are especially quick to make. 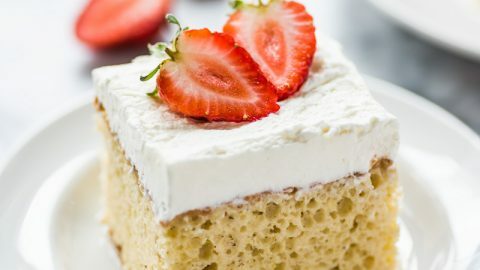 From start to finish, including prepping the ingredients and toppings, they take only 25 minutes! That’s pretty much as good as it gets when it comes to making a fresh meal at home. 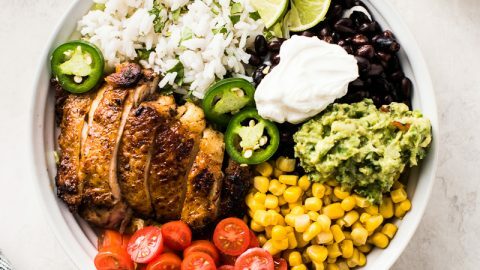 So if you’re looking for an easy weeknight meal that the entire family will love, this one’s a keeper. ? This is by far my favorite ground beef taco seasoning I’ve ever made, and I’m super excited to share it! I’ve always wanted to replicate the bold flavors of the taco seasoning packets you buy in stores and the ground beef tacos you get at restaurants, and you know what? I think I finally did it! 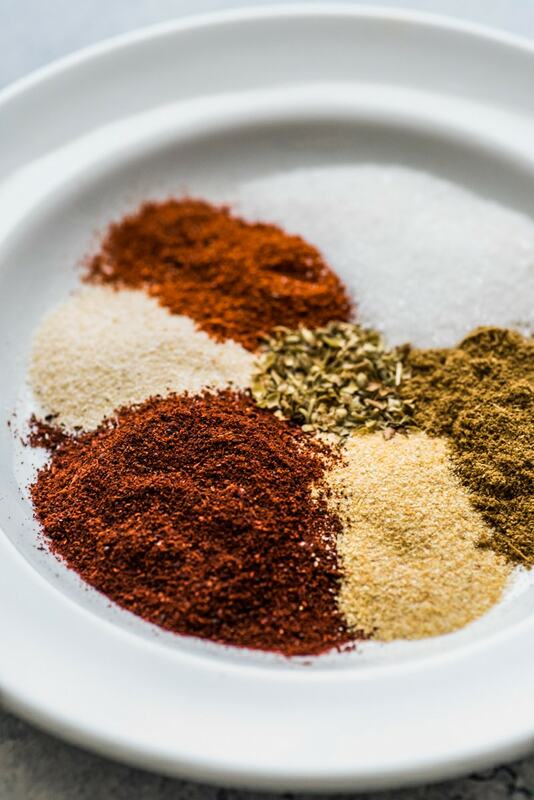 This taco seasoning is a simple blend of herbs and spices that I regularly have in my kitchen. The ingredients themselves aren’t super fancy, but the proportions are just right, making this seasoning a powerhouse of flavor.  Here’s how to make it. Taco seasoning won’t go bad so make a big batch of it and keep it in your spice cabinet to use whenever you’d like! For this ground beef tacos recipe, I used 85% lean ground beef. Anything leaner and you run the risk of the meat getting too dry. If you do use a leaner cut, like 90-95% lean, or even lean ground turkey or ground chicken, you may want to add another 1/2 to 1 tablespoon of cooking oil to the skillet just to help the meat stay a little juicy. 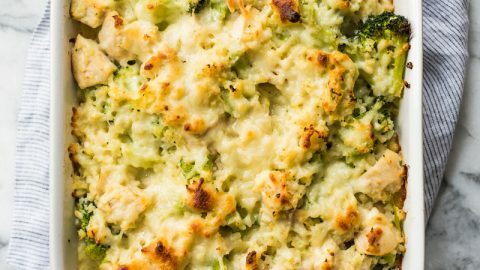 If you’re watching your carb intake, this recipe can easily be adapted to meet your needs. 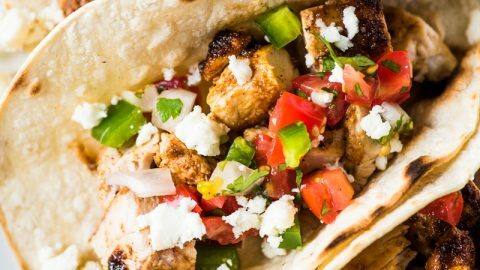 To make this a low carb meal, you can serve the tacos in lettuce or collard green wraps instead of tortillas. 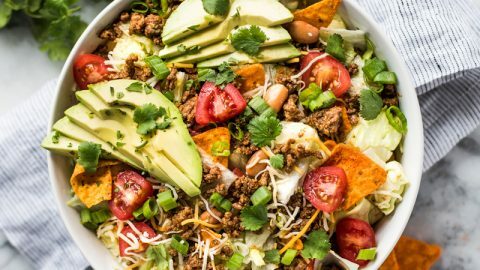 The ground beef would also be great served over some greens with all the toppings for an easy taco salad. 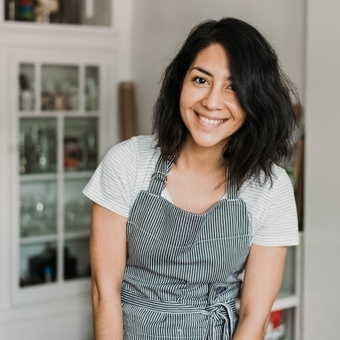 Looking for more taco recipes? Try these! In a large bowl, add ground beef, chili powder, ground cumin, salt, garlic powder, onion powder, paprika and dried oregano. Mix together with hands until well combined. Heat a large skillet over medium-high heat. When hot, add the cooking oil. 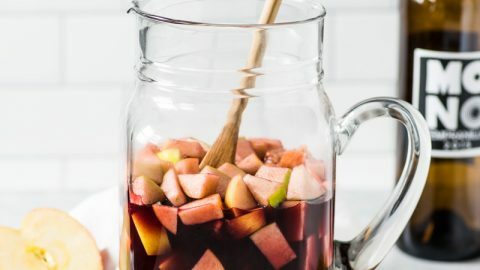 Add the ground beef and break up the meat into smaller chunks using a wooden spoon. Cook, stirring occasionally, until the beef is completely browned, about 8 to 10 minutes. Drain and discard any excess grease if you'd like. Remove from heat and cover to keep warm. 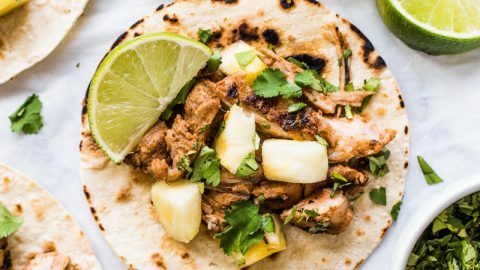 Warm the corn tortillas on a hot griddle or skillet, about 30 seconds per each side or until they get some toasty brown spots. Place the tortillas in a tortilla warmer or covered in a warm kitchen towel to keep from getting cold until ready to eat. 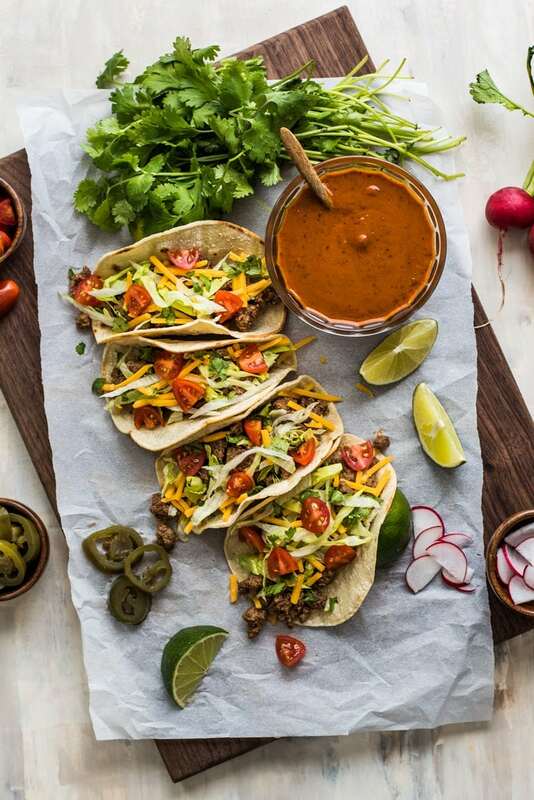 Fill each tortilla with ground beef and assemble tacos with toppings such as shredded lettuce, cheese, tomatoes, jalapenos, cilantro, lime juice and hot sauce. 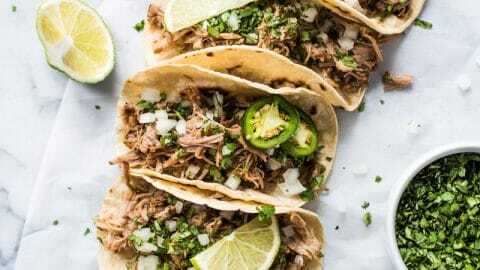 Leftover taco meat can be stored in an airtight container in the refrigerator for up to 4 days. To make low carb: use lettuce wraps instead of tortillas. Nutritional information does not include optional toppings. 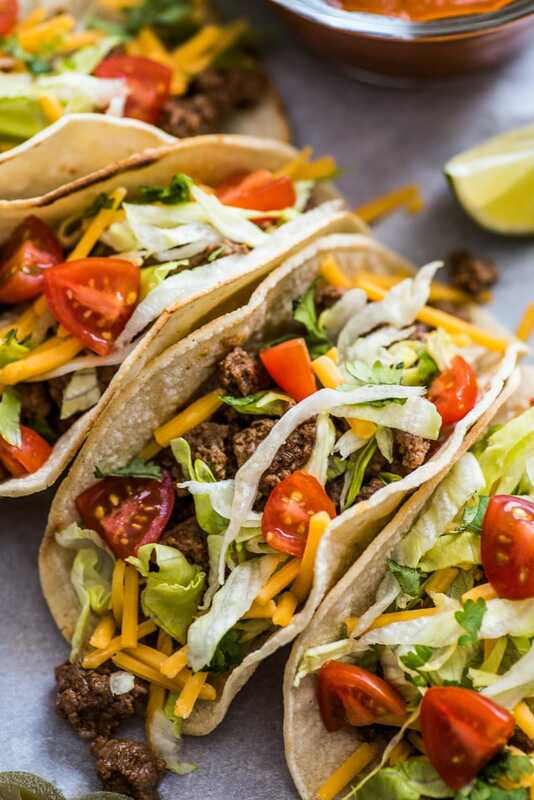 making tacos tonight using your taco seasoning, thanks so much for sharing! 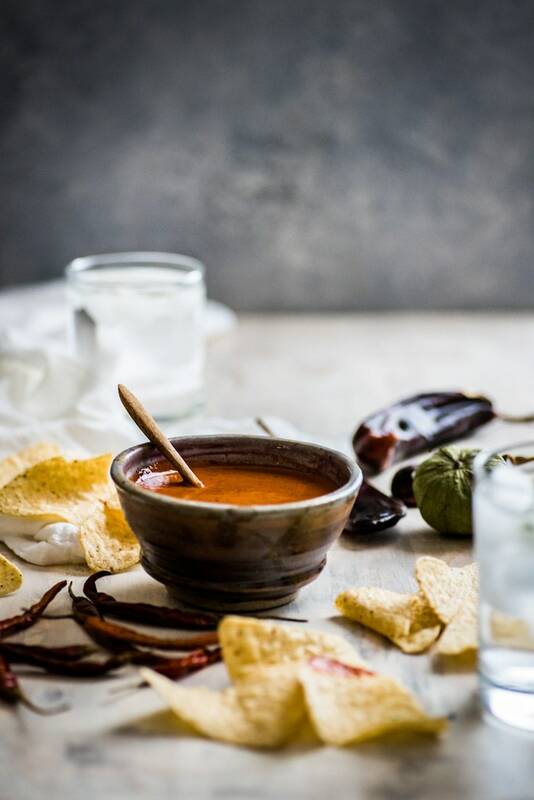 do you make your own hot or chipotle or sriracha sauce?